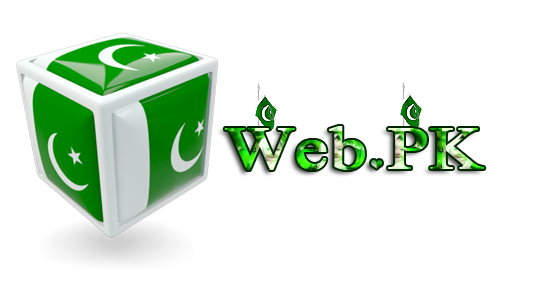 Web.PK was founded in 2007 and launched officially in 2011, our site is distinct information and news portal from the very start we have focused on different issues which have been mostly remain neglected by local media and press. Quality always remained our primary focus. We try our best to inform our users with highlighted issues. Reviews and How to’s mainly focused on local industry needs where we fill the gaps. Our writers are professional bloggers, editors, columnists, I.T professionals and reporters as we also allow Guest Posting. Posts are always published after being reviewed from our editor’s policy. This website posts may contain opnions of writers and guests which do not reflect of organisation. All content taken down requests are taken seriously, so kindly send request to us before proceeding to any further level. Otherwise it will be considered as informal, illegal and hostile behavior. We always respect privacy of our visitors, all users must read them before using our services. To promote Pakistan’s culture and bring positive Pakistan to world front. Clean and comprehensive reporting; with proper sources and facts. To Protect user and their Consumer rights. You can contact us here, or follow us on our channels around various social profiles. is there any captcha problem? I had been using SMS facility on my said connection frequently SMS beyond the limit imposed by your authority. That recently my outgoing SMS facility has been blocked on account of sending SMS beyond the limit imposed by your authority. That I hereby undertake not to cross the usage limit in future if the facility is restored. That whatever has been stated is true and correct to the best of my knowledge and belief. 2.I would appreciate if you could unblock my SMS facility and in future I agree to use my number according to rules and regulations set by PTA. How can we find the meaning of our names. Please can u tell us. Ur CAPTCH code for the communication is not working. Tell the solution to contact u. Sorry about malfunctioning of website, content subject to conflict has been removed from website. We normally take action on 3-4 working days on all quires. admin kindly reply me.. is there any problem with CAPTCHA code of ur web?? I think it is working fine..
i cannot contact u because every time i try to contact u the CAPTCHA code is incorrect.. is there any problem in the server?